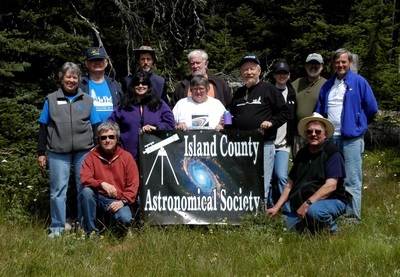 ICAS of Washington state is a group dedicated to general astronomy, education within local schools and civic groups, encouragement for public appreciation of the field, as well as our own pleasure for the art and science of observing. We host monthly club and public star parties. 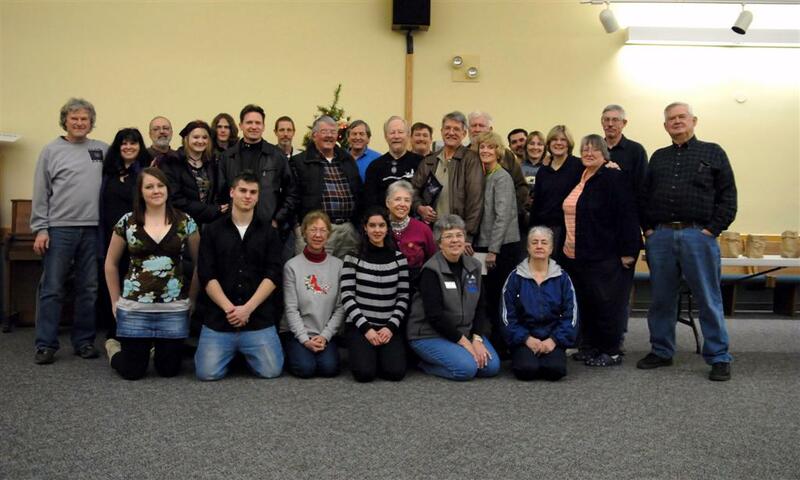 Our monthly meetings draw people from Island County and Skagit County. 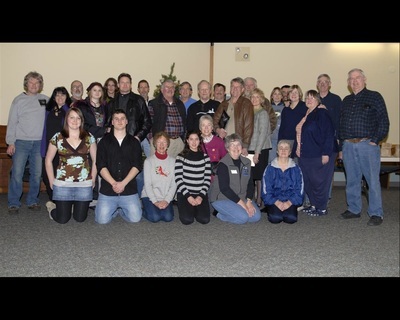 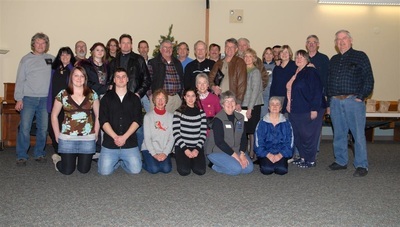 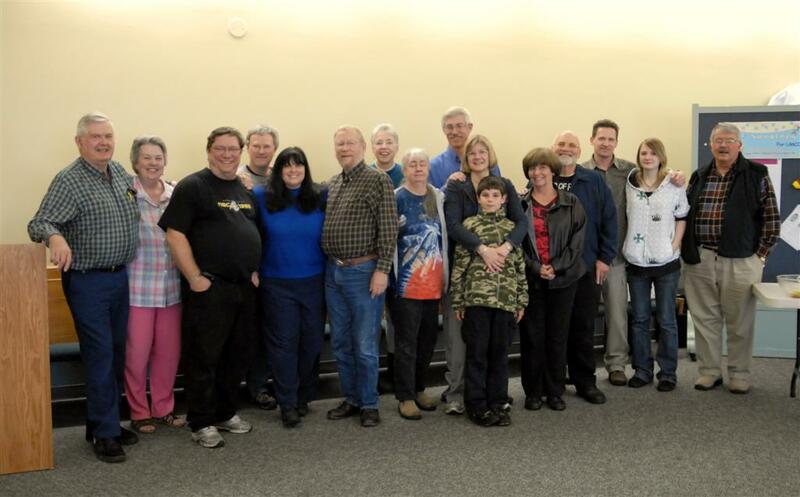 We attend major star parties within Washington and Oregon, and we welcome the general public in our area to participate by attending our meeting each month at the Oak Harbor Public Library Meeting Room, 1000 SE Regatta Rd, Oak Harbor, WA. Each meeting we have presentations and/or videos on various Astronomy topics. 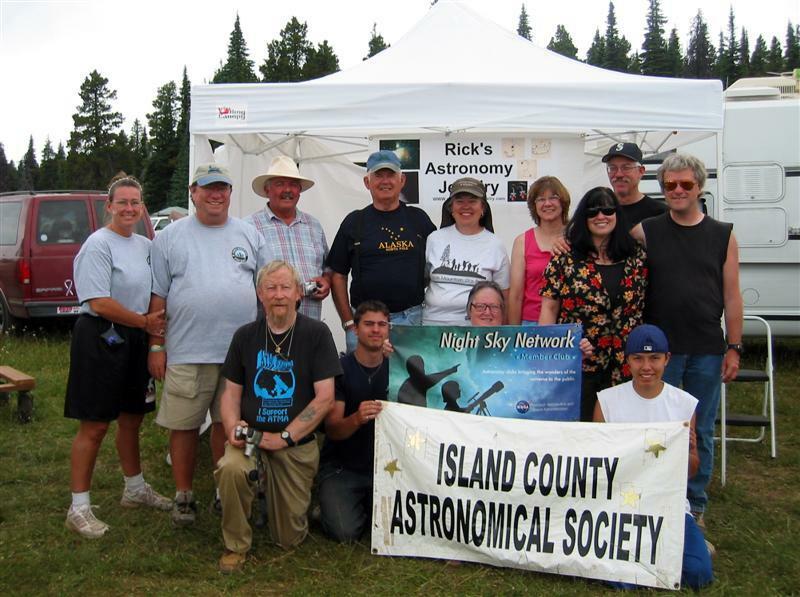 Also, we hold public star parties at Ft. Nugent Park (Oak Harbor) monthly. 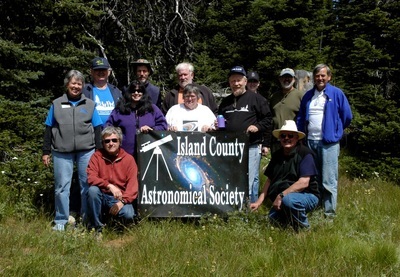 (See calendar for meeting and star party dates.) 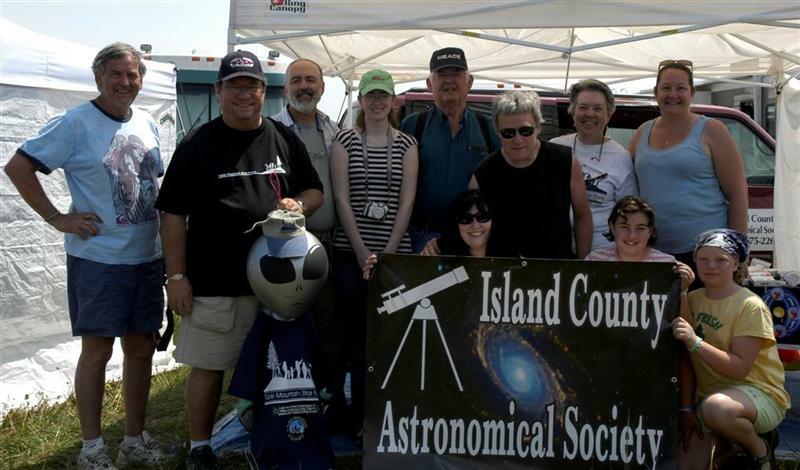 Our annual club dues are $20 for adults or $10 for students which entitles you to reduced astronomy magazine subscriptions, membership to the national Astronomical League, including their monthly publication "The Reflector". Our general meetings consist of an educational presentation and a general business meeting. To be under totality you will need to travel. Here is a link to a map of the path of the eclipse. 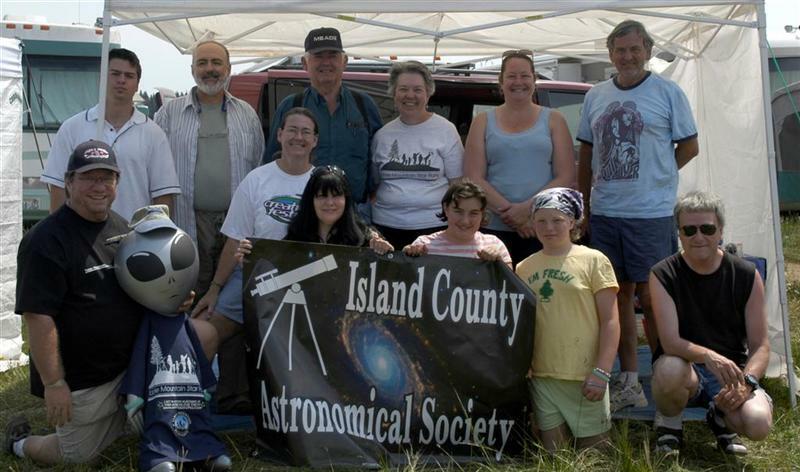 The US part of the eclipse starts in Texas ​and goes to Maine. 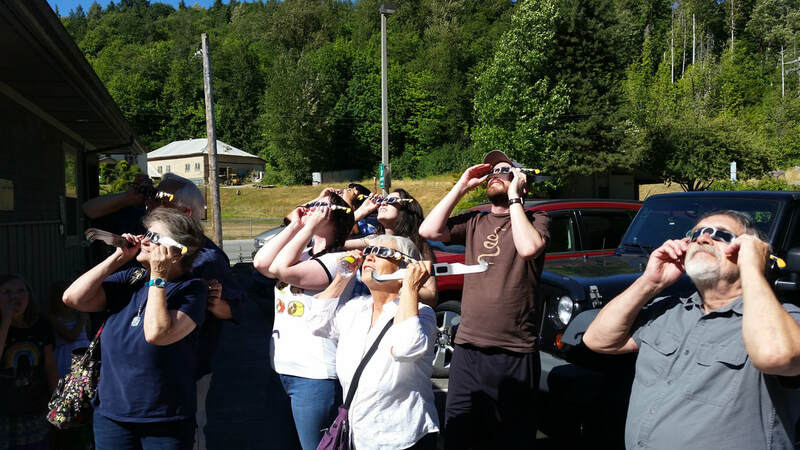 ​Trying out their new eclipse glasses after a talk about the August 2017 eclipse. 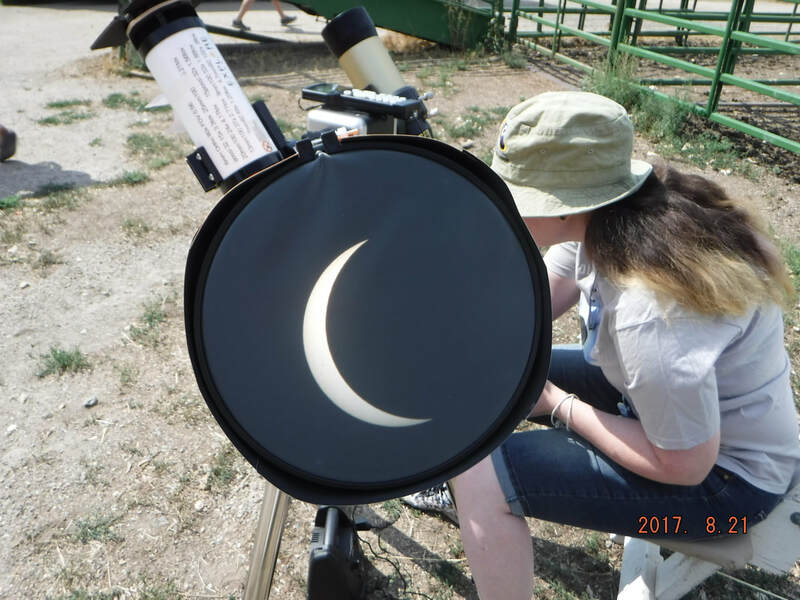 ​More 2017 Eclipse pictures in tab: "More - Members - Gallery"
WHEN: 6:30PM, 3rd Monday of each month. 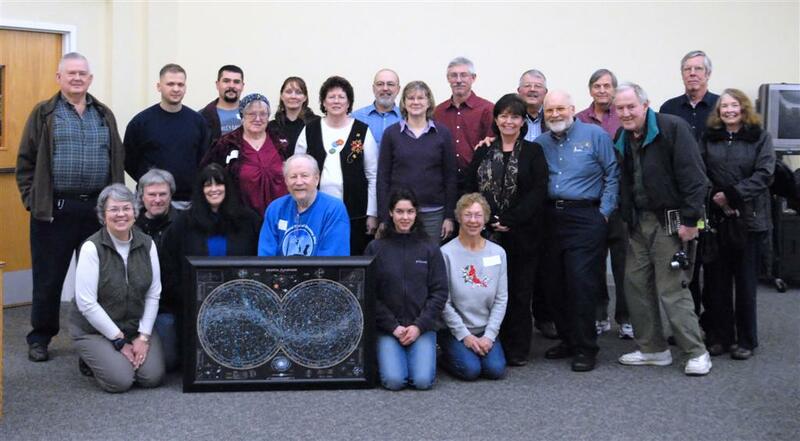 WHY: To become a member, learn about space, and network with fellow space enthusiasts. 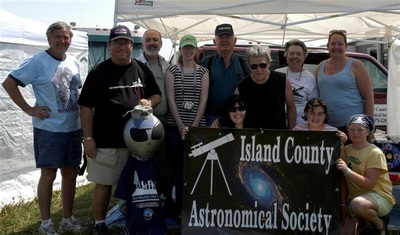 WHY: To see through telescopes and learn about space! All levels of experience are welcomed.